I met Abraham and his parents, Mariam and Daoud at one of my lectures in 2002. I was speaking on nutrition for Autism and Down’s Syndrome children. Mariam and Daoud spent some private time with me in regards to Abraham, who has Down’s Syndrome. I recommended various supplements and foods for Abraham to take. Fourteen years later, Abraham is still following the recommendations. He has become this “awesome” 15 year old. 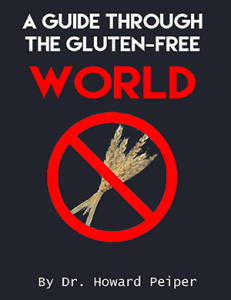 I have recently written a new book titled A Guide Through the Gluten Free World and have included Mariam’s wonderful recipes and her amazing Mariam’s Miracle Sauce and Seasoning. Mariam's organic and gluten-free dishes are not only healthy but really tasty. Out of the four I tasted, I can’t say which was my favorite-- they were all so delicious. My recommendation? Use the sauce and try her recipes.